JCPS offers a student-assignment system that meets the unique needs of our community. The system lets you apply to various schools based on your home address. The district offers a variety of options to meet students' individual needs. We are proud that each school and program has unique strengths and that each is designed for particular interests and talents. Many parents consider several different factors in choosing a school. They make decisions based on the family’s needs and what they feel is a good fit for their child. Be sure to explore your school choice options to determine which is the best fit for your family. Enrollment guides: Check out the 2018-19 Choices brochures for elementary, middle, and high schools. The elementary, middle, and high school application period for the 2019-20 school year begins on October 29, 2018, and ends on December 19, 2018. Apply here. Applications are not processed on a first-come, first-served basis. They all are processed at the same time at the end of the periods. Applications submitted after the deadline will be processed based on building capacity and admission criteria (if required for optional and magnet programs). 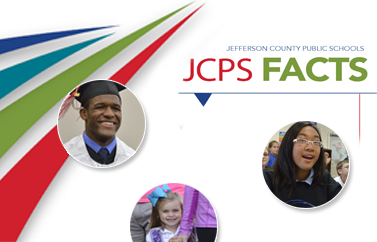 JCPS works to ensure that families who are moving into Jefferson County have information on what school choice options are available and the registration and application process. Please contact the Parent Assistance Center at (502) 485-6250 for more information.